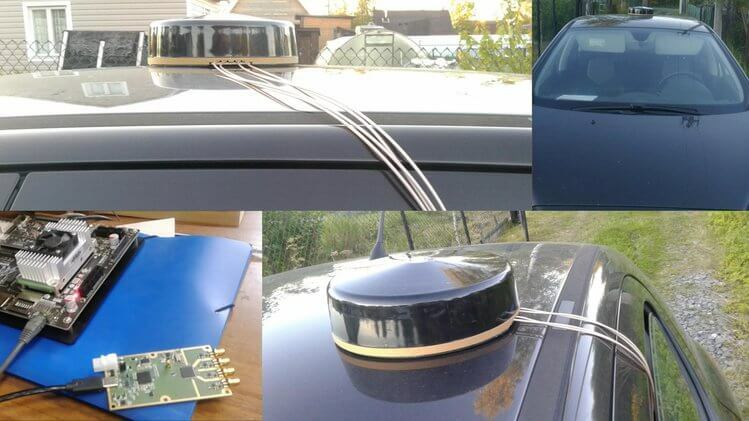 Back in May 2018 we first posted about Amungo Navigation's NUT4NT+ project, which is a four channel global navigation satellite system (GNSS) board based on the NT1065 chip. With the right antenna, it is capable of receiving any navigation satellite including GPS, GLONASS, Galileo, BeiDou, IRNSS, and QZSS. With access to multiple satellite systems, the positioning resolution can be down to the centimeter. NUT2NT+ hardware is open source, as is the software - giving the user the ability to set a receiver’s modes and frequencies, to capture all signals continuously, and to have complete control over primary processing features. Several startups and large companies offer proprietary GNSS positioning solutions and even mobile GNSS software-defined receivers. But a closed ecosystem reduces accessibility for an enthusiast or professional developer, and it limits what a user can do with their hardware. We are happy to bring NUT2NT+ to the world as an open source option. We note that this is an advanced device for developers and experimenters, but the possible applications they write about such as precision positioning for autonomous vehicles and black box logging are quite interesting. NUT2NT+ with RA125 antenna for precision positioning of autonomous vehicles. Their higher end four channel input version (which appears to only be for sale via contact on their website at the moment) can be used as a coherent receiver which can locate sources of GPS jamming via an augmented reality app. In our previous post we highlighted how they were able to find the location of the GPS jammer/spoofers famously active around the Russian Kremlin buildings.